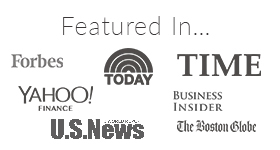 Frugal Hound here, your one and only source for pet interviews with a personal finance flair. 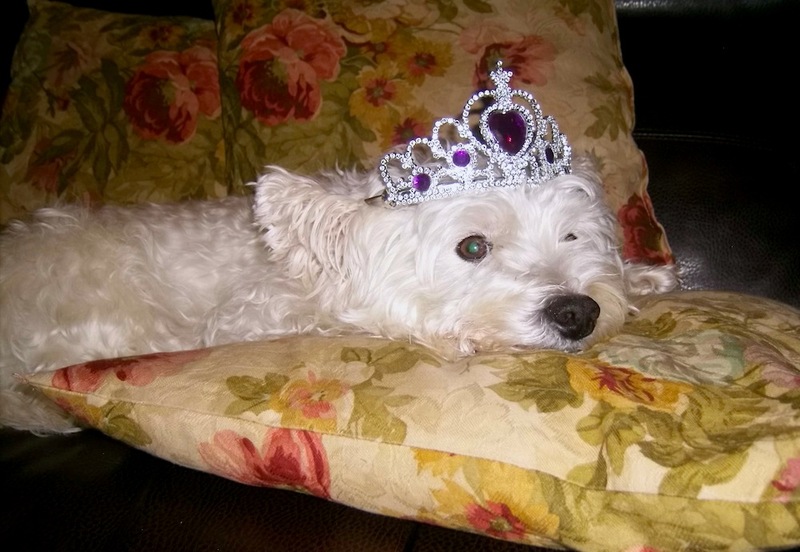 Today I’m joined by pet royalty–Lady Sally of Messy Money. I too have tried convincing my parents servants that I’m of a royal bloodline, but they still persist in calling me Peanut-Pumpkin and other such degrading names not fit for a noblewoman. The shame. 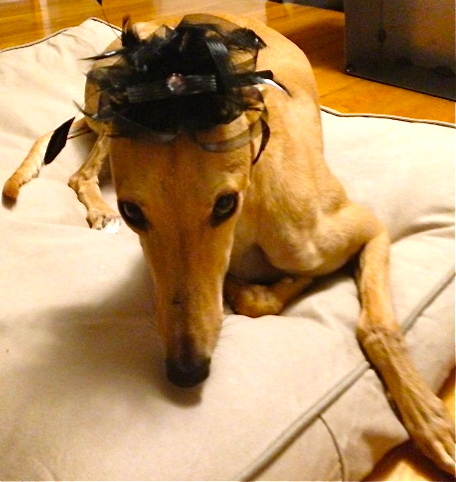 Here is a photo of me looking regal in my royal fascinator. I’m sure you’ll agree I look stunning, since I know I photograph well. And now, please join me in sniffing Sally! Greetings. I am Sally, Grand Duchess of Rothesay-Burgandy. 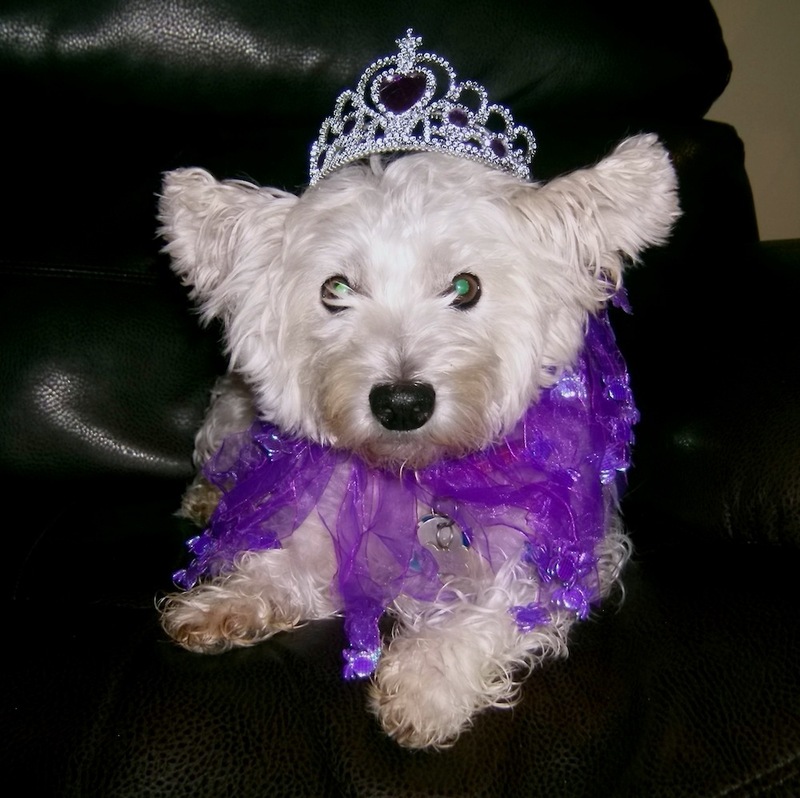 I hold a royal title due to my lineage, which includes bloodlines from both Scottish (West Highland) and French (Poodle) dynasties. My servants are free to address me by the informal “Miss Sally,” although I expect to be announced as “Lady Sally” at formal gatherings. I am fortunate because I have not one, but two homes that I stay at seasonally. My summer home is on the lake shore and I stay in my palace during the winter. I have two sets of servants, one at each of my residences. You may know May from Messy Money–she is my Lady in Waiting for six months of the year. My handlers prefer grooming me themselves and you may be able to tell from my photographs that they are woefully inadequate groomers. Good help is hard to find. Once a year, I have a professional grooming session in advance of my royal Christmas tour. I would eat just about anything if you let me. 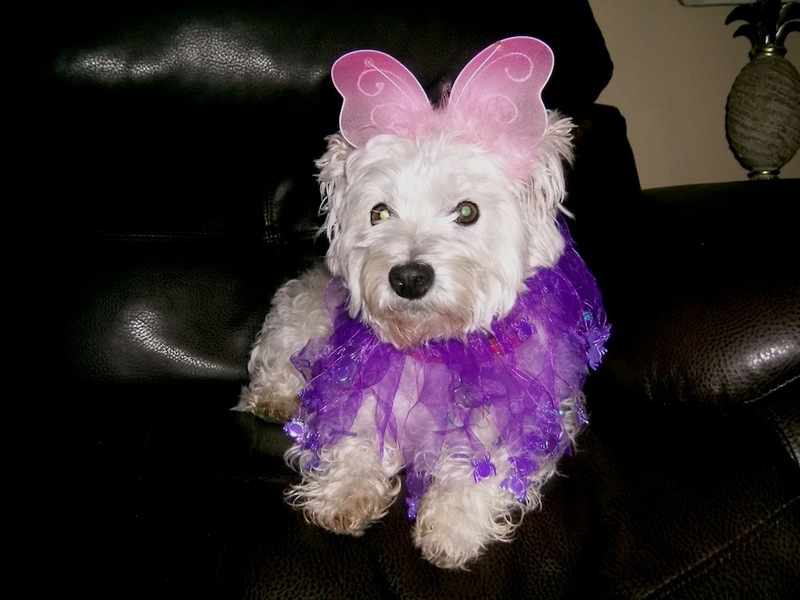 I have food allergies though, so I am served food and treats without additives or preservatives. I love my Omega Paw Tricky Treat Ball. I will spend hours trying to get the treats out — you should try it Frugal Hound! I like to run! I can run like the wind. I would like to challenge you to a race, Frugal Hound! One time I was running through snow in the backyard and I fell face first into some deep snow and I had built up so much momentum that I flipped right over — hindend over head — and my servants laughed and laughed. I am not a fan of baths but I understand that I have a certain public image I need to maintain. If I am not satisfied with the bath I have received, I will let my royal handlers know by rolling in piles of dirt and digging holes in the backyard immediately after my bath. Splitting my time between two different residences helps reduce the costs of pet ownership for my co-owners (aka servants). They each split the costs of caring for me and are free to travel without having to worry about caring for me or arranging for additional servants. Of course they miss me like crazy when I leave for the season and it makes them that much more loyal to me! I also help keep the wildlife out of the vegetable garden. I chase the wild hares and dig for moles in the backyard. It’s like the royal fox hunt but with rabbits and moles instead! When I am not running, I am napping. Actually, I think I’m currently late for my third nap of the day. Ta-ta Frugal Hound. Let me know if you’re up for that race! Mrs. Frugalwoods here: Many thanks to May from Messy Money for allowing Lady Sally to submit her royal interview. 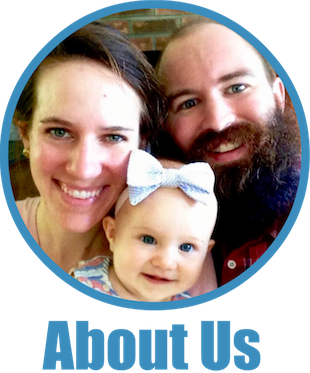 May is a self-proclaimed financial misfit who over-shares her financial mis-adventures at Messy Money. Nice to meet you Lady Sally. I think I prefer your crown look over all others. Thanks Brian. She wasn’t a fan of the headgear but tried to be a good sport. Frugal hound could teach her a thing or two about modelling. Thank you Frugal hound. It was a pleasure and I have no doubt of your royal bloodline. Our humans may think they are in charge but we really know who rules the roost. Understand that you have a very full social calendar but hope we have the chance to meet again. Frugal Hound says she appreciates the acknowledgement of her royalty ;). Thank you so much for joining us on Frugalwoods–it was a pleasure to have you! Thanks Alicja. Frugal hound is irresistible and I am thankful they Frugalwoods let other play along. Nice to meet you Lady Sally! 🙂 Loving this series, it’s too cute. Thanks Christina. 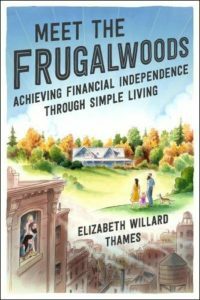 The Frugalwoods have done a great thing here with the series. Glad we could be a part of it. I love the idea of shared pet ownership! I would love to get a dog but my work and travel schedule really wouldn’t allow it. Sharing responsibilities seems like a great way to experiences the joys of pet ownership without taking on the full burden yourself. It has worked out really well for us – I do miss her though when she leaves. You could dog sit maybe or borrow a neighbor’s dog? Thanks. For a short, stout dog she runs amazingly fast. 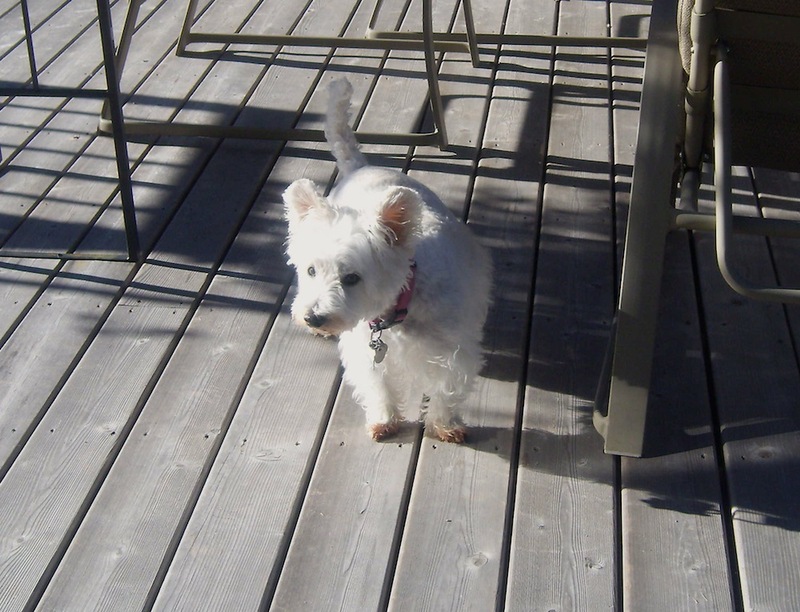 She races the hound next door all the time and wins (or maybe the hound lets her….) but a joy to watch. It does take some time to adjust – Sally adjusts faster than I do but on the bright side I get to visit her often and she is always over the moon to see me and we can travel without worry. There used to be an Augustus or “Gus,” who went with her, but they didn’t get along. Someday we will have to explain to Little Brother that he shares his (middle) name and his nickname with a cat we used to have. Are you saying you kept a pet name in the family? That is an awesome middle name story to share because middle names alway generate stories and questions. I don’t know if Sally has ever met a kitty? Would be interested to see how she would get along with a feline, especially an empress. you guys are SUCH weirdos I love it. LOL–I think that maybe the FW invented the phrase `frugal weirdos`and I am so glad they did. Haha, what can I say, we’re true frugal weirdos ;)! Ah thanks Kay. Right back at ya! I have not tried your “un-brushing” challenge yet – but maybe after I get a haircut.